How was your weekend? Did you have any big Memorial day festivities? The weather was gorgeous so all you lake lovers should have some pretty good color, and maybe even a few hangovers for some. Not me!!! I made a batch of my homemade sangria and shared it with the neighbors.... apparently it was a big hit (not surprised) as they have already made plans for next weekend to make another batch! It is good! Starting the week on a Tuesday is always a bit odd. Not that a 4 day work week is a bad thing, it just throws everything off. 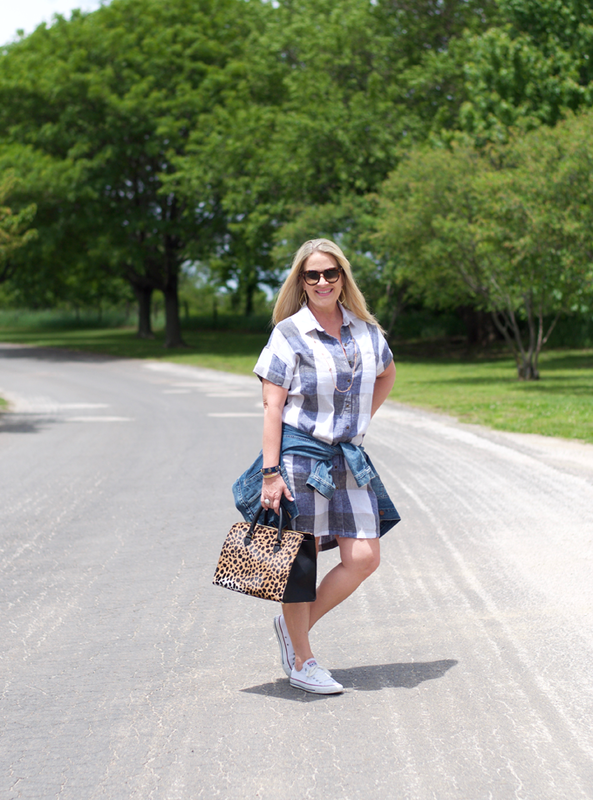 From casual to straight up comfy, I styled this dress two ways with a few minor changes. Actually you could leave the sandals on with both looks and it would be fine. I love a shirt dress. 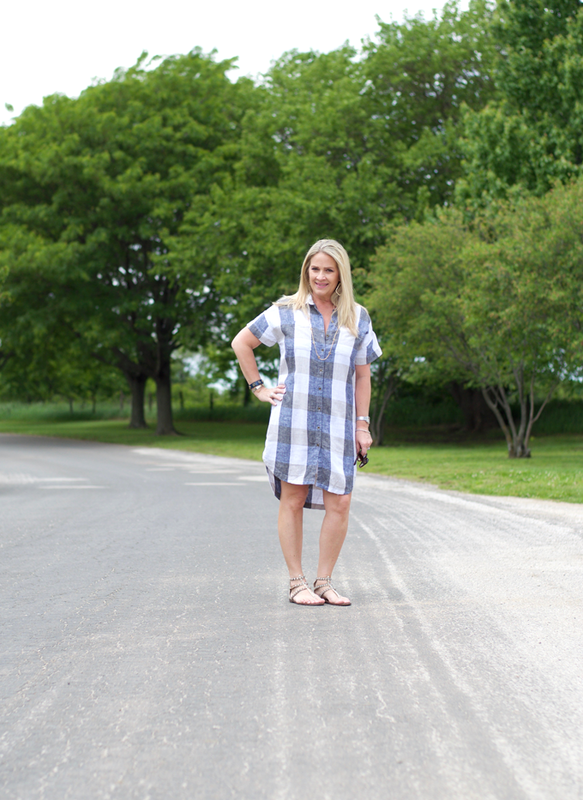 A shirt dress is comfortable and still a stylish look. I threw on a pair of sandals for a dressier look while still being comfortably casual. For a switch up I paired my converse and added my jean jacket for an added element of layering. While the first look with sandals is perfect for daytime or evening, the transition to converse and jean jacket is a perfect pairing for an evening event that starts out warmer and as the sun sets the jacket is ready for cooler evenings. We have several festivals and art fairs this time of year and the evenings can still get pretty cool.